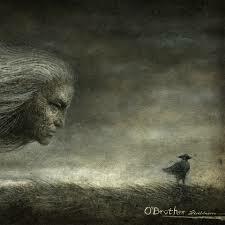 Disillusion is the sophomore release from O’Brother. And by what they have given to us here, I think it’s safe to say that they have the potential to be around for a long, long time. Garden Window was a stellar debut release and with their constant touring promoting that album they’ve built themselves a solid enough fan base that they are currently a midst their first headlining tour. This tour however they are promoting Disillusion the fantastic follow up to Garden Window. Disillusion is a sludgy mess, and you should definitely read that as a positive. They didn’t do much to change the equation that made their previous releases successful. They still tend towards longer song lengths, great juxtapositions between heavy, crushing moments and beautiful, soaring quieter moments. Yet, Disillusion feels totally fresh. The last three tracks of the album especially stand out to me. Starting with the title track, which seems to meander about with Tanner Merritt’s falsetto guiding us to a gathering storm which builds and builds before it finally breaks leading us into the tormented “Absence.” After hearing some terrifying outbursts from Merritt we finally get some relieve in “Radiance,” which closes the album in a mostly ambient style. This album takes a few listens to process everything, but it will grow on you a lot, at least it did for me. It would also help to check out this sweet audiotree session.